Four citizen-astronaut candidates have completed Suborbital Scientist training at the National AeroSpace Training and Research (NASTAR) Center, the premier aviation and space training, research, and education facility aimed at optimizing human performance in extreme environments. Maureen Adams, Lt. Col. Steve Heck (USAF-ret. ), Michael Johnson, and Edward Wright have been selected by Citizens in Space to fly as payload operators on the XCOR Lynx spacecraft. 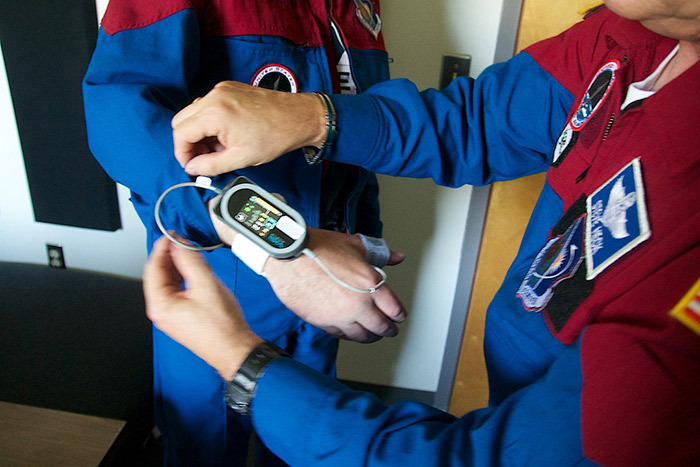 The four citizen-astronaut candidates completed multiple centrifuge runs during the three-day training course, simulating g-forces that will be encountered during a suborbital spaceflight. They also completed altitude-chamber training at simulated altitudes up to 28,000 feet and a rapid-decompression exercise. 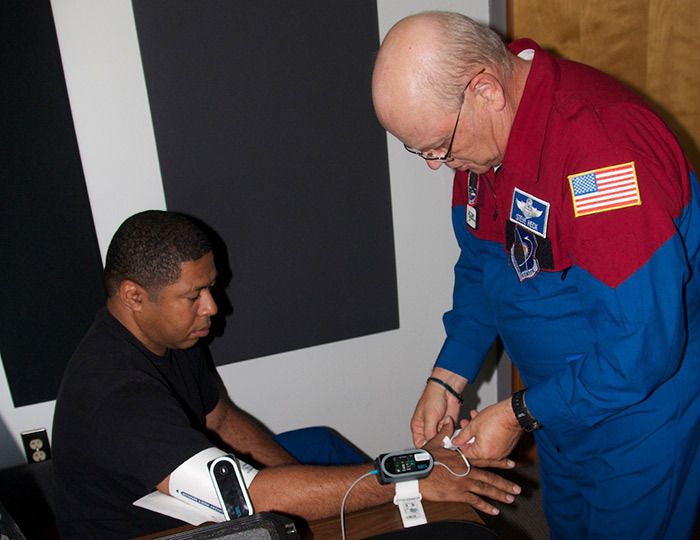 In addition to physiological training, the group conducted an evaluation of advanced biomedical sensors manufactured by Sotera Wireless, Inc. of San Diego. Edward Wright and Michael Johnson evaluated the sensors during four centrifuge runs at up to 6.2g. The evaluation was conducted under the direction of Dr. Ravi Komatireddy, a physician researcher and president of Vital Space. Steve Heck and Maureen Adams helped attach and monitor the sensors. Citizens in Space, a project of the United States Rocket Academy, has purchased 10 flights on the XCOR Lynx spacecraft, which it is making available to the citizen-science community. Citizens in Space plans to fly 100 citizen-science experiments and 10 citizen astronauts as payload operators. The first five citizen-astronaut candidates have been selected and are currently in training. 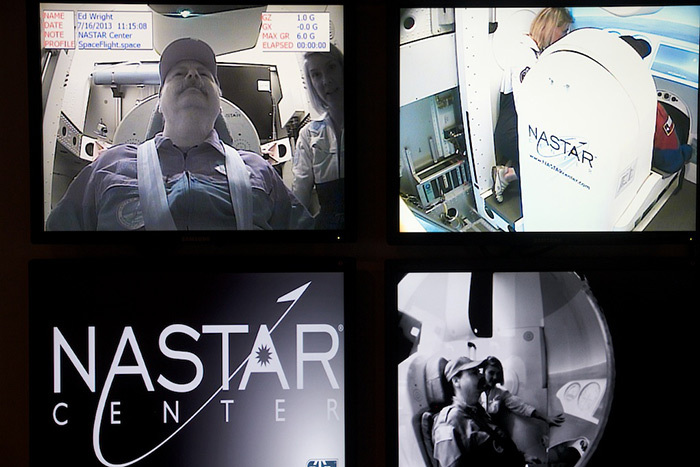 Greg Kennedy, director of education at NASTAR Center, has been selected as the fifth citizen-astronaut candidate. 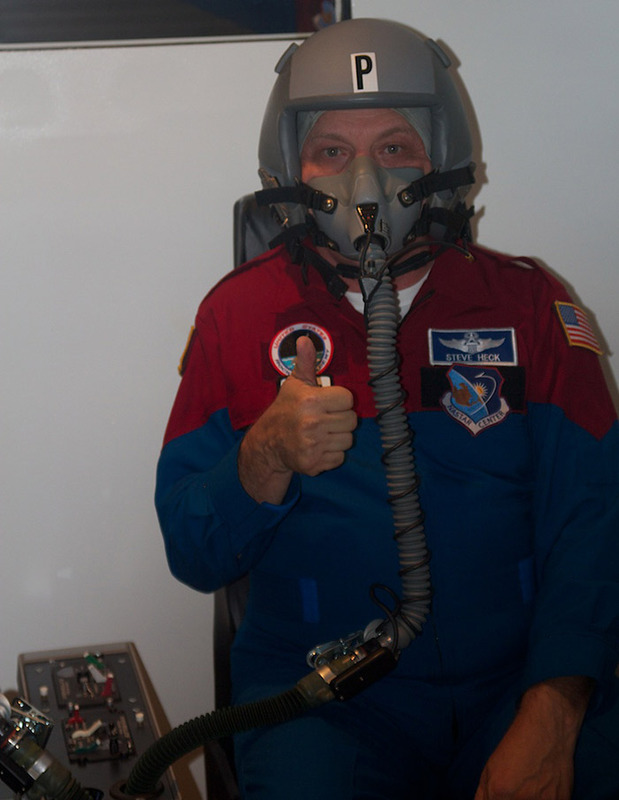 Due to his prior NASTAR training experience, Kennedy did participate in this portion of the Citizens in Space training.